Nestled on 44 acres and equipped with a cabin, an event center and a covered outdoor ceremony space, Merry Ledges is the perfect setting for the country wedding of your dreams. Merry Ledges in the Woods is a unique, historic, redwood structure nestled in a private 44-acre wooded area. The restored event facility has beautiful hardwood floors, exposed beams and ceilings, two wood-burning stone fireplaces, and many large windows to enjoy the peaceful wooded country setting. Merry Ledges accommodates 180 people inside, with plenty of outdoor space for more. 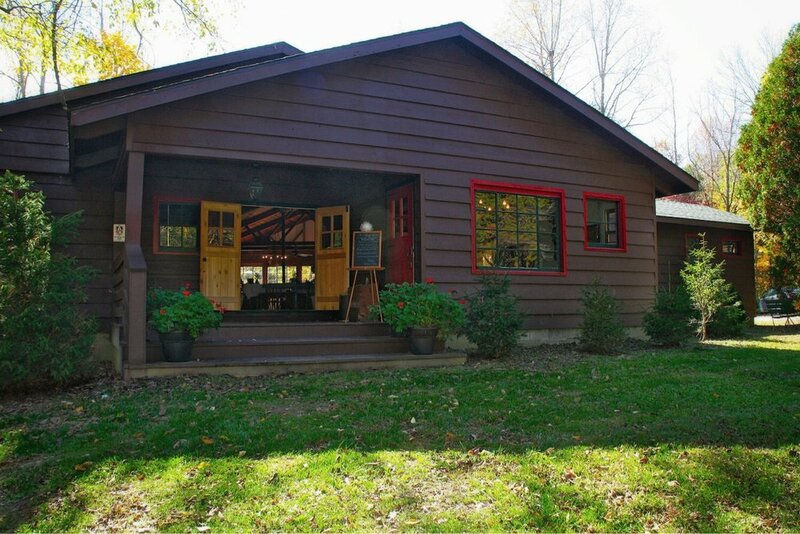 Nestled in a private wooded area 15 minutes from Downtown Corydon, Indiana. Schedule your appointment here.